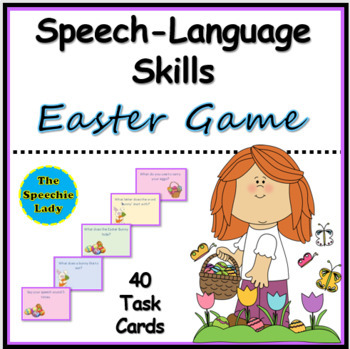 Here is a simple Easter-themed game that targets following directions, understanding basic concepts (i.e. size, shape, colour, number, position), answering Wh-questions, labeling vocabulary, phonological awareness, and speech sounds. Just print, laminate, and cut out the cards and you're ready to go!